My Fashionable Designs: Free Food Label Printables!!! 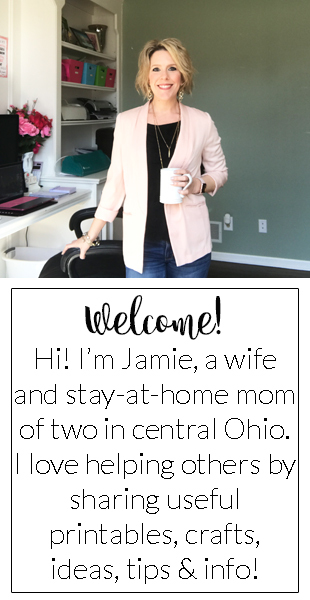 I'm happy to introduce a guest to my blog today!!! Dana from foodpackaginglabels.net is sharing a fabulous set of FREE Food Label Printables and some great tips on how to clear the clutter and reduce frustration in the kitchen...the most used room in the house!!! It’s very easy to make a mess in the kitchen while trying to prepare food at home. For example, you most likely have to open a bunch of cupboards and peek into a dozen food jars scattered around the kitchen in order to find your flour or rice. Baking and meal preparation in general can become a real headache regardless of the kitchen’s storage capacities if you don’t organize it properly. Therefore, kitchen organization is very important, especially if you are preparing most of your meals at home. But how do you arrange everything in order to make your kitchen a more pleasant and inviting workplace? These free printable food packaging labels can make your life much easier. The first step is to organize the heart of the kitchen -- the pantry. This space is often cluttered as it is a magnet for accumulating all sorts of items. Removing all the unwanted content and transferring all ingredients into jars and canisters will help you clear the clutter and maximize the space. However, in order to utilize the jars and canisters properly it is best to label them. The collection includes pantry labels that will help you organize the basic pantry items like flour, sugar, pasta, rice, oatmeal and cereal. The labels will help you keep the pantry in order at all times, since every family member will know what goes where without making a mess while rummaging through the cupboards. In addition to this, there will be less frustration and lit will save everyone time. If you or anyone of your family members have food allergies or special food dieting needs, your pantry is most likely stocked with allergy safe foods. These healthy tags will help you to label food that is gluten-free, lactose-free or sodium-free. You can even label the dinner leftovers in your fridge in order to make sure that no one would make a mistake even with the prepared meals. Good kitchen organization and healthy diet often requires careful menu planning. You can hang up this weekly meal planner on your cupboard doors or on your fridge so everyone will know what’s on the daily menu. This will also help you to better plan your grocery shopping, which can save you lots of money and time in the long run. And last but not least, these lunchbox stickers will put smiles on the faces of the youngest members of the family. Sometimes it’s really hard to get your child eat healthy food. But, by spicing up their school lunches with some fun and inspiring notes can make the challenge less daunting. These ideas will hopefully help you transform your kitchen into a neat and organized space, where everyone will enjoy working and hanging out. Just download the printables, print them out and give your kitchen a fresh new look!